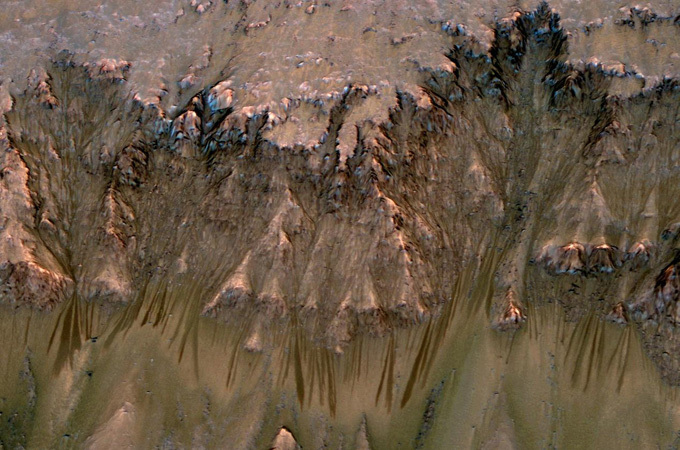 Observations from NASAs Mars Reconnaissance Orbiter have revealed possible salty liquid water active on planet Mars! Never give up. Trust your instincts. I got some mail today. A small package that was shipped from the other side of this planet. It contained a superb english version of the unreleased game, Star Fox 2, for the SNES (Super Nintendo Entertainment System). Ive only tried the game a little so far, but it feels like a really good game. Too bad Nintendo never officially released it. Its a nice sequel to the excellent Star Fox (or Star Wing as we call it here in Europe) -saga. Im glad though, that this version of the game exist, even though its not an official release. I got the goosebumps when inserting that Star Fox 2 cartridge into the SNES console, and powering it up. lol Nostalgia, and yet, something New, at the same time. Camera: HTC Desire – Android.